Use our interactive sky map HERE to find out if you can see Jupiter right now! Be careful when viewing Jupiter if it is close to the Sun. The Sun can damage your eyes so ensure it has not risen before attempting to view Jupiter. Never look at the Sun through a telescope without using a special solar filter. Even catching a quick glimpse of it whilst searching for a nearby planet could cause irreparable damage. Jupiter is the fifth planet from the Sun, and the largest in the solar system. It is the largest gas giant. You could fit ALL of the other planets in the solar system inside Jupiter!! It's largest moons can be seen through binoculars, along with the Great Red Spot (which is a massive storm on the planet). Jupiter shines bright in the sky and is the the second brightest planet (Venus is the brightest). No fancy equipment needed to view Jupiter, it can be seen with the naked eye! A decent pair of binoculars will allow you to catch a glimpse of the largest moons. Take a look through a small telescope and you can see some amazing things! You could see the great red spot or one of the stunning moons crossing in front of the planet! You will also see the different coloured belts on Jupiter. Jupiter can be seen in the South West from dusk. You can see it from around 19:50 at the start of the month, and from around 19:15 towards the end of the month. It can be seen until it sets around 21.00 at the start of the month and 20.00 towards the end of the month in the South West. 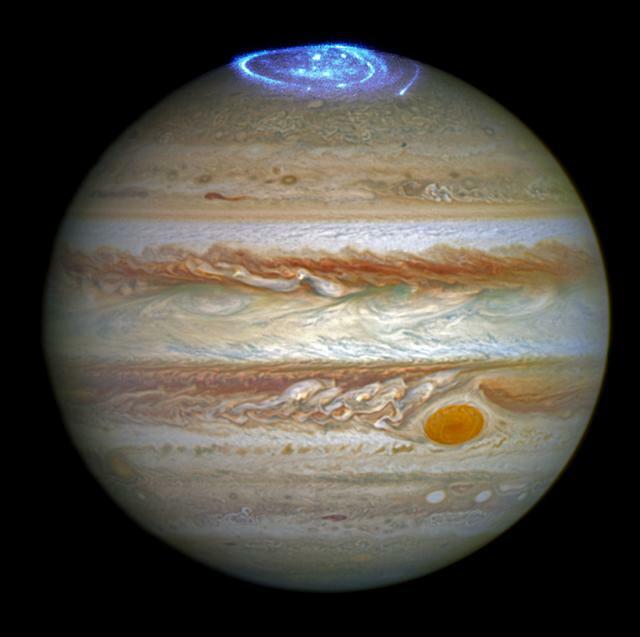 Take a look at our page HERE to see what times you can see the great red spot. This image shows the location of Jupiter at 20:00 on the 12th of Sept.
Click on this box for our Facebook Group!